Located on the Southeast side of campus with its own address of 1520 South Longmore Road, the new Performing Arts Center (PAC) is a multi-purpose facility designed to accommodate the wide range of performances of MCC’s talented music, dance, and theatre programs. Re-imagined to fit the needs of MCC, the Performing Arts Center (PAC) is a 450-seat theatre and state-of-the-art educational and entertainment venue. Find complete site information here. Complete rental details available here. 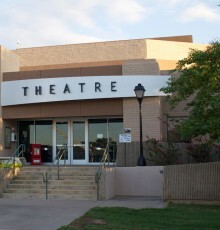 In 1978 Mesa Community College opened the doors of its first full theatre facility. 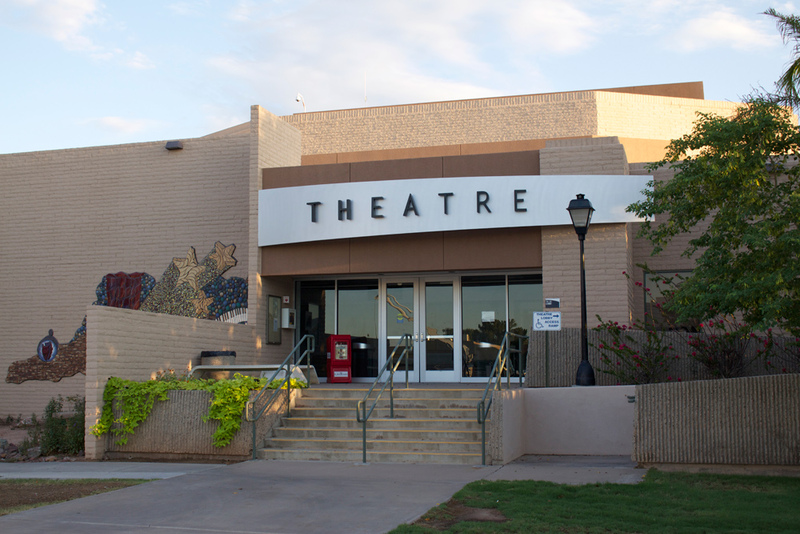 MCC Theatre was originally dubbed The Theatre Outback, deriving its name from the lack of buildings on the southern part of the campus at that time, making the area “out back” in regard to the main campus. 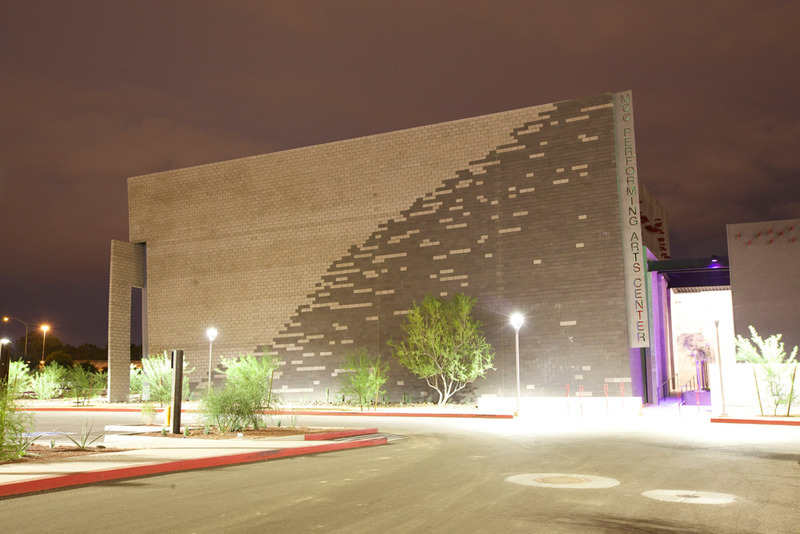 No longer “out back”, as the MCC campus has grown in size over the years, the facility is now simply known as the MCC Theatre. The MCC Theatre has been an important venue for the college’s performing arts program and a community landmark. For 30 years, the 270 seat theatre has fostered the budding careers of thousands of students, welcomed community forums and hosted the President of the United States. The Navajo Room located on the Southern & Dobson campus of MCC, is available for a multitude of different events. The space can be broken down into two separate rooms or opened up to host a larger engagement. With a stage set along the South wall, projectors located on both halves of the room and sound throughout, the space can easily be closed for different breakout sessions. The Western wall of windows allow for a nice amount of natural light to enter the space. These windows also provide a nice view of the campus’ central courtyard. 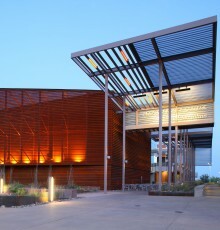 The RAP is located on the Red Mountain Campus in the Saguaro Building. This theatre style space also includes practice rooms and features state-of-the-art lighting and sound systems along with a curtained stage. 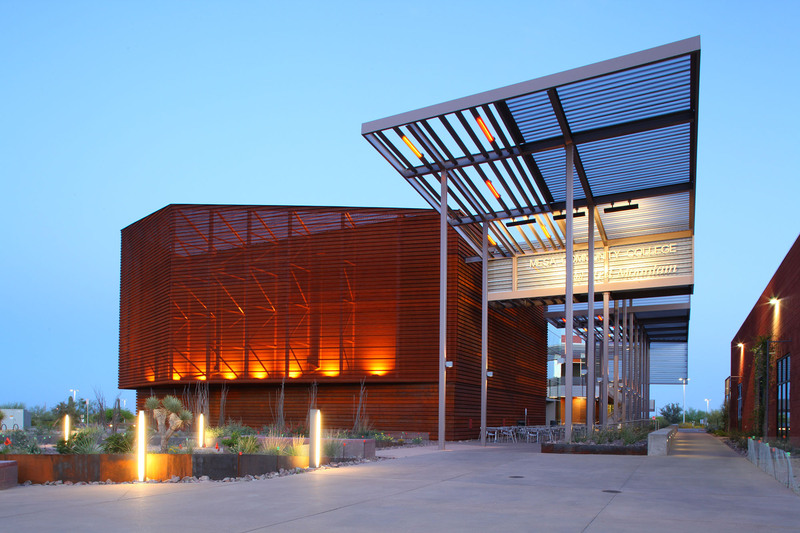 The RAP Center’s architectural form, color and texture was inspired by nearby Red Mountain and when the exterior’s perforated rusted metal is illuminated at night the facility serves as a beacon inviting the community to campus events. 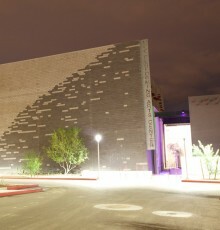 The Community Room is located on the Red Mountain campus in the Mesquite building. This second-story open format meeting room has built-in projection and sound systems and an adjacent kitchen area. With it's circular flow, this space is great for town hall style meeting, small workshops, classes and presentations.